It’s a bit of a cheat this one because the first time I saw Hull City play was a friendly at Boothferry Park in August 1967. However, I had visited the ground a few months earlier for that awful FA Cup 5th Round Second Replay, where Leeds United had beaten us 2-1 with a penalty that, had there been Video Assisted Refereeing, would have seen Jimmy Greenhoff banned for 100 games and Ken Stokes, the alleged referee, demoted to the Newark and District Sunday League with immediate effect. 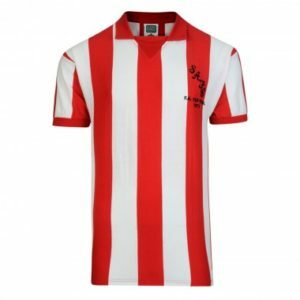 So, five months later, on the eve of the 1967-68 season, Ian McColl took his side to play The Tigers, who were now starting their second season in Division Two after a huge spending spree under manager Cliff Britton had dragged them out of the third level. The money came from the gravel fortunes of the Needler family and I can imagine Harold Needler imitating Mr Foggen from Ripping Yarns (“I love scrap, me”) as he praised the virtues of his gravel pits in East Yorkshire. I travelled to this one from Filey where the annual family holiday had just ended. The small Yorkshire resort was our resort of choice because it was cheaper than Scarborough, it was close to my dad’s mate who lived in ‘ull and the beer in The Imperial in Hope Street was good, cheap and readily available. This was my last family holiday and I spent much of the time writing SAFC in the sand with my heeled Chelsea Boots. On the final Saturday, I entrained to ‘Ull, met some friends there and walked out from Hull Paragon, past the signs indicating the trains to Bremen and Hamburg and avoiding an escaping poet/librarian who told me what your parents do to you as he dashed for his train that would carry him to his mother in Leamington Spa or his lover in Leicester. Jimmy Montgomery; Cec Irwin, Len Ashurst; Colin Todd, George Kinnell, Jim Baxter; George Herd, Colin Suggett, Neil Martin, Martin Harvey, George Mulhall subs; Brian Heslop, Ralph Brand. For both clubs it was the final friendly before their respective seasons started. We were looking to build on the FA Cup run of the previous year and make progress up the league and City were trying to lose that tag of being the biggest city in England never to have played in the top division. A good game was in the offing. By 3.02 we were two down with Heath and Chilton taking advantage of sloppy marking (sounds familiar, dear reader) to get The Tigers off to a flier. George Mulhall pulled one back before half time, but the majority of the 8,713 crowd were basking in the sunshine thoroughly enjoying seeing the Fancy Dans of the First Division being given the run around by the Second Division (relative) new boys. The City attack was an excellent one. Houghton and Butler had joined from Rotherham United for a combined fee of £80,000 and Wagstaff had been signed from Mansfield Town for the same. This was in the days when £100,000 was an astronomical fee and we had really pushed the boat out when we had paid £72,500 for Not So Slim Jim Baxter a year previously. But the jewel in the City forward line was Chris Chilton, an East Riding man who spent the majority of his career at Boothferry Park, scoring 222 goals in all appearances and 193 in the 415 league appearances that he made. He was a tall, rangy player, clever on the ball and even better off it and he worked brilliantly with the shorter, stockier Wagstaff. They terrorised defences in the Second Division and Chilton in particular was coveted by top clubs, including Spurs and Leeds United. 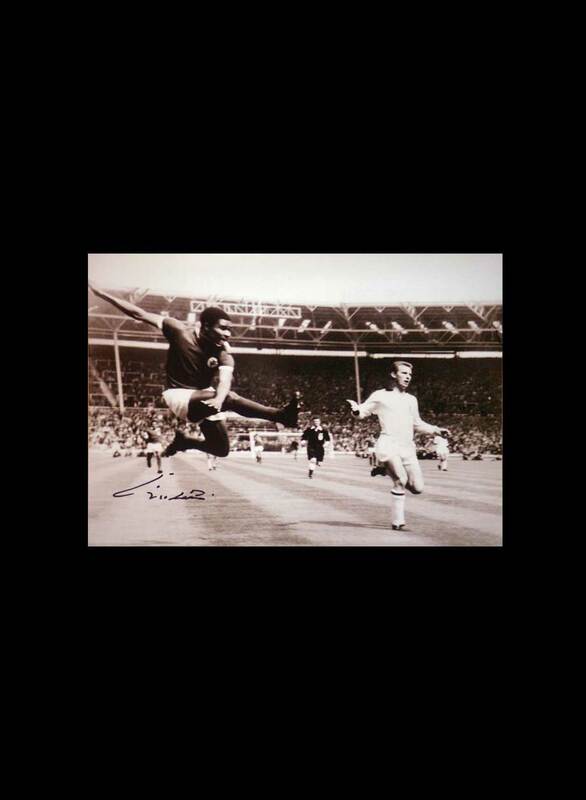 He eventually left for Coventry City in 1971 but a back injury limited him to less than 25 First Division appearances. 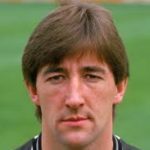 After he retired, he became City’s Youth Team manager and was responsible for bringing through many players including Steve McClaren, Seaham lad Brian Marwood and the fearsome Billy Whitehurst – just the kind of player we could do with at the moment. Chilton’s Wikipedia page has him currently living in the wonderfully named East Riding village of Thorngumbald. I detect an ever so slight Viking influence there. Subs were made at the start of the second half and I had my first glimpse of Ian McColl’s two new signings, Brian Heslop and Ralph Brand. Neither had cost much and little was expected of them but Brand showed that he could score goals; within five minutes of arriving he had levelled and ten minutes later, he put us ahead. Tigers fans stopped roaring and started gnashing their teeth in frustration, at least until Ken Houghton converted a penalty with ten minutes remaining. Three years later, we met them in a Second Division game on a Wednesday night in October at Roker Park. McColl had been replaced by Alan Brown in March 1968 and Cliff Britton had departed as City brought in a young player manager from Arsenal in Terry Neill. He was only 28 but was widely regard as a bright young thing. 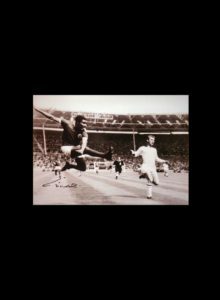 He had played 275 league games for the Gunners as a half back and was a regular for Northern Ireland, but was deemed surplus to requirements by Bertie Mee and off he went to East Yorkshire to kick start a Tigers team that had stalled. 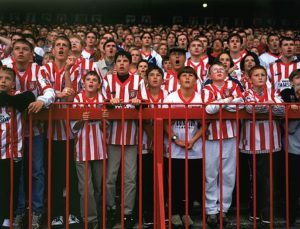 When he arrived with his team at Roker, they were in the top three (they finished fifth) while we were sitting in ninth place, coming off a good 4-1 home win over Bolton Wanderers. Two home games in succession, and two home wins might just propel us up the league and start a serious promotion challenge. You know what happened. A well drilled and well organised ‘Ull side defended comfortably and caught us on the break in the second half. 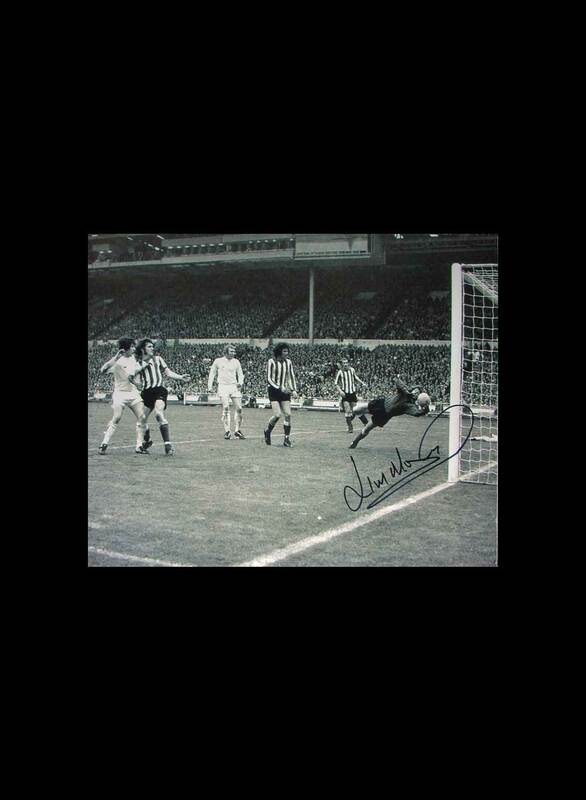 Chris Chilton was the scorer and the crowd of 18,741, which ended up as the second highest that season, went home disappointed, some back to cars, some to buses, some to the stygian gloom of Sunderland station to catch a train down the coast or back in the direction of Newcastle. I walked back to The Cloisters just off Ryhope Road and to my room in Williamson Hall where I no doubt sulked for the next few days. Jimmy Montgomery; Cec Irwin, Martin Harvey; Colin Todd, Richie Pitt, Ian Porterfield; Bobby Park, Bobby Kerr, Billy Hughes, Gordon Harris, Dennis Tueart. Sub; Mick McGiven for Park 66 minutes. There were three of the promotion side from 1963-64 still in situ and six of the team that would give us our one day of glory in the 55 years I have followed this club. We won’t see the like of any of those in my lifetime. Ian McKechnie; Don Beardsley, Roger de Vries; Billy Wilkinson, Terry Neill, Chris Simpkin; Malcolm Lord followed by The Famous Four with Norman Lees as substitute (unused). 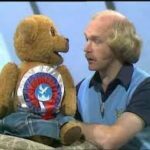 Roger de Vries went on to have a very good career as a ventriloquist with the outrageously sexist Nookie Bear (Editor’s note; I think you have confused him with Roger de Courcey. De Vries went on to run a number of Honda dealerships in East and North Yorkshire. 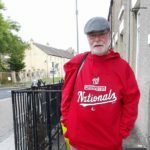 Please check your facts) and Norman Lees played for Hartlepool on loan and then on to Feethams, where he made 120 appearances for Darlington. City have done well on their recent visits to Wearside, winning three of the last four games they have played. 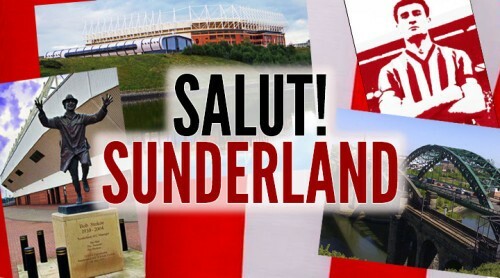 Another win for them would bang yet another nail in the coffin that is currently Sunderland AFC. Nigel Adkins, David Meyler and Fraizer Campbell will be practicing their hammer blows as we speak. I would say “Keep The Faith” but it gets harder and harder to believe in anything positive about this shambles of a club. I’m going outside for a little weep…….. 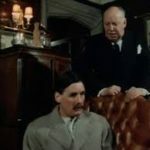 The Ripping Yarns episode (Golden Gordon) was found at https://www.youtube.com/watch?v=8O1pH-NEa6I). If there is any copyright claim, not answered by ‘fair use’ exemptions, on the video and images used to illustrate this report, please make us aware and we will add credits or remove as requested. The First Time Ever I Saw Your Team: Sixer on Gillingham. Another cracking read. Thank you. A bit harsh of M. Salut, just shows what a good ventriloquist he was to cause that confusion – probably helped in car sales too! I more than suspect Mr Sixsmith was well aware of what he was typing. 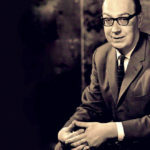 Personally I thought Roger de Vries was Audrey Forbes Hamilton’s neighbour in To the Manor Born. 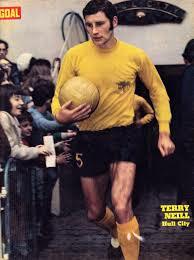 Was Terry Neil really only 28 ?